Mug Club - Founders Brewing Co.
2019 New Membership Sign Ups: December 1 at the Grand Rapids and Detroit taprooms! Opportunity to participate in exclusive, Members-only contests, and other fun surprises! 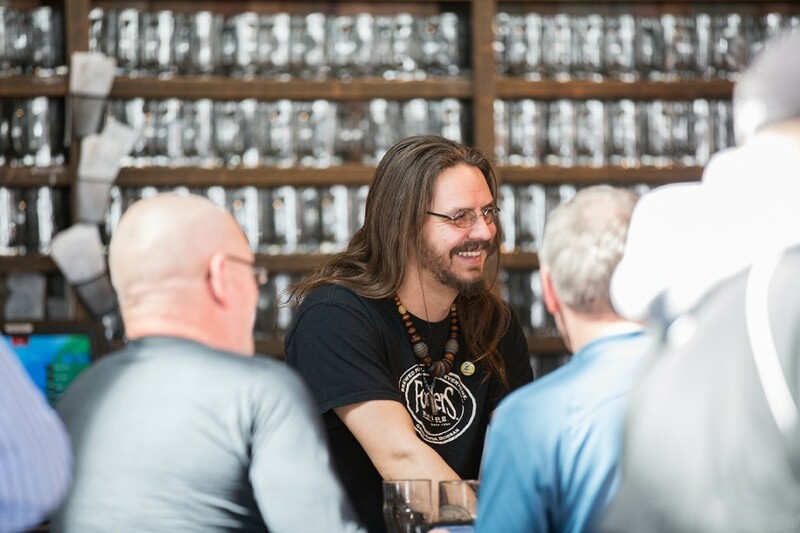 Enjoyment of Member pricing when visiting our Detroit taproom – just show your Member ID! Each year, New Member sign-up for the Grand Rapids Mug Club takes place on December 1st in our outdoor Beer Garden. Memberships are sold on a first-come, first-served basis beginning when the taproom opens. New Member Fee is $60 and memberships can be renewed annually for $50. NEW THIS YEAR: PURCHASE A MEMBERSHIP AS A GIFT! Great news from Founders Brewing Company for Mug Club Members past, present and future: On December 1, each of our taprooms will be offering a Gift Membership option – for the first time! Plan ahead and give the gift of a 2019 Mug Club experience to a loved one. Each year, New Memberships are sold on site at the taproom on December 1 (with New Member Benefits effective Jan 1 through Dec 31 of the upcoming year). Gift Memberships will be processed along with all other New Memberships on December 1: in person on a first-come, first-served basis until the upcoming year’s Mug Club is full. Sorry, no online or phone signups of any kind will be accommodated. Sign up at the taproom where the Mug should live: Grand Rapids Mug Club Memberships will be available for purchase exclusively from the Grand Rapids taproom, and Detroit Mug Club Memberships will be available for purchase exclusively from the Detroit taproom. Standard rules and restrictions for Mug Club Membership will also apply to Gift Memberships. Memberships are non-transferrable and non-refundable. The Gift Recipient named on the Gift Membership Signup Form is the only person eligible for enjoyment of Membership Benefits. The Gift Recipient must be 21 years of age as of January 1, 2019 – no exceptions. The Gift Recipient will be asked to verify identity and DOB by showing a valid ID at the start of their first visit in 2019. Once this information is verified, the Gift Recipient will receive their Member ID Card and Membership Benefits become effective Note: Member ID Cards will only be distributed to the named Gift Recipient – no exceptions. Any violation of Mug Club policy will result in revocation of Membership, without refund to the Gift Purchaser. This includes – but is not limited to – our 21+ policy for all Members. Gift Recipient’s preferred email address – We will want to add them to our 2019 Members-only email list, so they can take full advantage of ALL Membership Benefits. Gift Purchaser will be able to specify whether or not the initial Membership Welcome Email goes to the Gift Recipient or the Gift Purchaser – we don’t want to spoil any holiday surprises!